Okay, so maybe “hundreds” is a bit of an overstatement, but who’s to say it doesn’t happen? Imagine this. It’s your first day of the spring semester and you’re sitting in your general education statistics class. Surrounded by a sea of people, you wonder how your professor will remember who everyone is. Answer? He won’t. Maybe you’re reading this and thinking, “Why would I want to be recognized by my professor?” Maybe you’re one of those students that likes to keep their presence on the down low, not drawing attention to themselves. 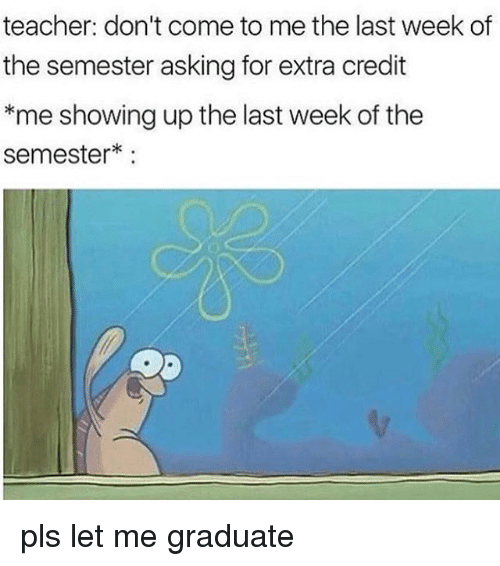 Maybe you’re just there to get the grade and move on. That’s great. Lucky for you, your class is big enough it should be easy to do that. WHY SHOULD I CARE WHAT MY PROFESSORS THINK? If you haven’t realized this already, you should probably care simply because they’re your professors. They’re in control of your grades. Get on their bad side? Your grade may suffer because of it. On the flip side, if they like you, you could get some extra help. 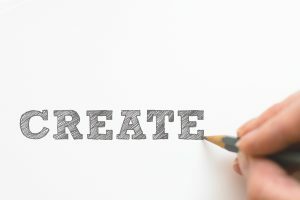 Now, this isn’t to say that your professors are going to play favorites (no one likes a teacher’s pet) and give you higher grades just because they want to, and they still probably won’t give you an extension on that paper you procrastinated writing, BUT what they might do is offer you some extra credit opportunities. 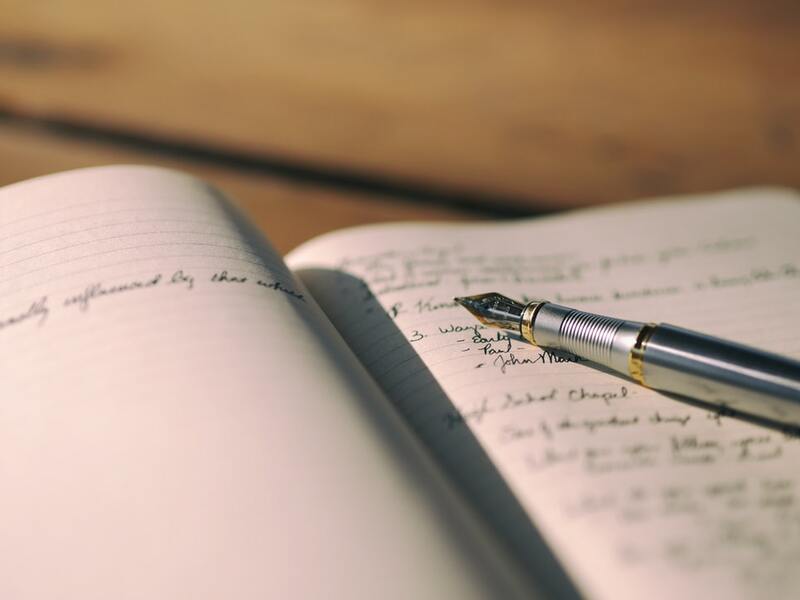 Some professors, if you have a good relationship with them, will allow you to do extra assignments or attend after class workshops and events to help raise your grade. Aside from holding the key to your grades, professors can be of value to you later in life. Professors are great people to use as references on a resume, or to have write a letter of recommendation for you. In most cases, your professors see you multiple times a week. Plus, based on the assignments you turn in, they can tell what your work ethic is like. Overall, employers will see references and letters from college professors as a valuable part of your job applications. 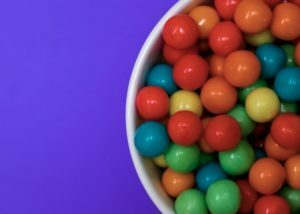 Besides being good references, most professors also have connections, and those connections are what you really want, and sometimes need, in order to land the perfect job post-graduation. This is mostly true of professors that teach within your major and minor areas, however it can also be true of those gen ed professors that you would least expect. When I was in college, I had a professor within my media department who seemed to know everyone. He worked under actor Desi Arnaz, who pioneered the multi-camera setup for TV. He was a director on several TV shows, like Empty Nest and Benson. His claim to fame? He once shared a hot tub with Cher. During his classes, we would hear all sorts of stories about his life. Clearly, we enjoyed them. They were fun, and almost unbelievable, stories. Still, the point is that this man has connections. For anyone seriously pursuing a career in media, he was the man to help you get there. Other professors were able to put students in touch with great internship opportunities, freelance work and more. This is true of nearly any major. Your professors have real-life experience. They’re not just there to lecture you to death. Plus, even if they don’t have direct experience in the field you’re pursuing, always remember this. You NEVER know who someone else knows. HOW DO I GET TO KNOW MY PROFESSORS AND GET THEM TO KNOW ME? I went to a small liberal arts college in the middle of Nowheresville, Kentucky. Don’t look it up. It’s not a real place. Anyway, being at a small institution, class sizes were also small. 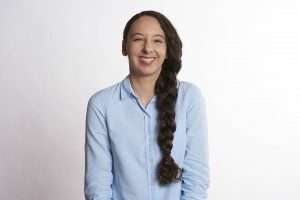 The largest class I was a part of had around 30 people in it and felt similar to that of my high school classes, so creating those coveted relationships with my professors was somewhat easier. Still, you could get by flying under the radar if that’s the route you chose. You still had to WANT those student/professor relationships and pursue them, just as you would in a larger college. So, how do you go from being that weird kid with curly hair and odd-shaped glasses to being Daniel, that weird kid with curly hair and odd-shaped glasses? One sure-fire way to do just that is to be a bad student. Be disruptive. Fall asleep in class. Turn assignments in late. Skip class often. Pay no attention to the professor at the front of the room. Sure, that’ll get you noticed and your professors will definitely know who you are, but if you’re wanting the relationships we talked about earlier… the ones where your professors want to help you succeed in life… that won’t cut it. It sounds like a no-brainer, but you’d be surprised how many students don’t do it. Many think, ‘Oh, my professors know my name. They say it every day when they take roll.’ That may be true, but I can promise your professor isn’t going to recognize you outside of class, and maybe not even during class, based on the roster alone. Introducing yourself to your professors is easy. After class, walk up to them and say, “Hi, I’m Daniel,” and extend your arm for a good, firm handshake. Maybe even add something like, “I’m really looking forward to your class.” This, though a small act, will give your professors some time to mentally match your name with your face. It also shows your professors that you are invested in the class (even if maybe you really aren’t). Some professors do assigned seating, others don’t. This tip is for those classes where you walk in and are tempted to choose a seat in the back row where you can avoid getting called on to answer questions. It’s simple. Don’t be that person. Choose to sit in the front section of the room. I’m not saying you need to be in the front row, just somewhere within the first few rows where your professor can clearly see you. Take notes, be attentive. Answer questions when you’re asked (or say you don’t know, that’s perfectly acceptable too). By sitting toward the front, you’ll show your professor, yet again, that you are invested and are truly there to learn. You’ve heard it before. No question is a dumb question. Remember that. Embrace that. Sometimes it’s easier to sit there, take notes and keep your mouth shut if you don’t understand something, but if you want your professor to notice you out of the rest of your colleagues, you need to take the road less traveled and raise your hand. Asking questions is not a sign of weakness, rather it’s a sign of strength. It shows your professors that you are truly paying attention to what they’re teaching and that you’re curious to learn more. It also shows that you care about the quality of your education and that you actually want to learn. No professor will mind to slow class down for a minute to back up and reclarify something that you missed. That’s their job and they’ll appreciate you for it in the long-run. 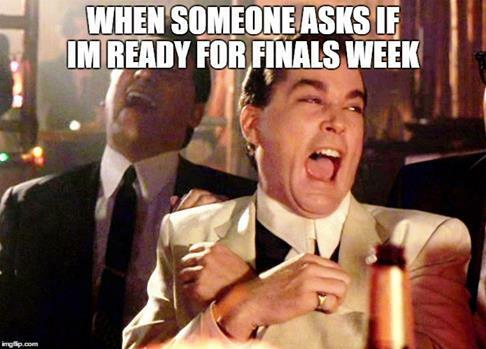 Do you have a question about an upcoming assignment you found in your syllabus? Was there something discussed in the days class that you still aren’t entirely sure about? Is there something that relates to what you learned in class that’s a little off subject? Don’t run out as fast as you can when you’re dismissed. Stay after and ask those questions! Unless your professor has another class immediately after your class lets out, he or she isn’t going to mind to spend some extra time with you to discuss whatever’s on your mind (regarding class… they’re not your therapists). In most cases, even if your professors do have another class to teach, they’re probably in the same classroom or at least nearby and have a few minutes while other students are rolling in. If they don’t have time to talk, at least let them know you have some questions that you would like to discuss and see what options he or she offers you, then follow through with whatever they suggest. Every professor, except maybe adjuncts, have office hours. Even adjuncts will make time for it, meeting in another spot on campus. “Office hours” is a time set apart for professors to meet with students. In order for them to work, guess what students (that’s you) have to do? Meet with their professors. If you’re looking for extra credit work, visit during office hours. If you have a question you didn’t get to ask during or after class, visit during office hours. 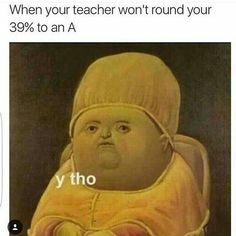 If you want an explanation of why you got a B, rather than an A, on your latest paper, visit during office hours. 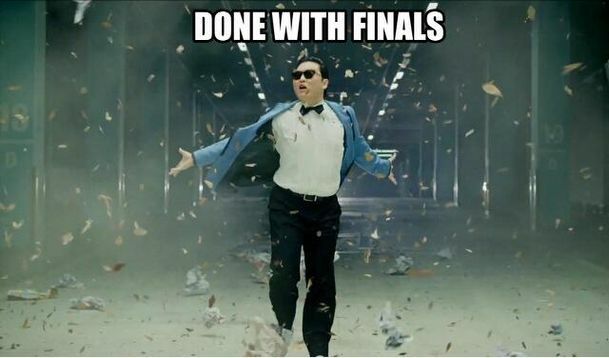 Moral of the story, if you have anything you’d like to discuss with or ask your professors, visit during office hours. Most times, you may be tempted to email your professor in order to get these things accomplished. 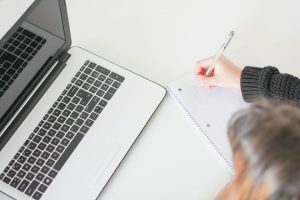 That, however, will not give you the face-to-face time that you need with your professor in order to make yourself stand out from the hundreds of other students he or she sees every day. If it’s something urgent that you need answered after office hours and it can’t wait until the next day, email. If it’s not, visit during office hours. Finally, and perhaps most importantly, ask your professors for support! No professor is going to write a letter of recommendation for you just because they felt like it. 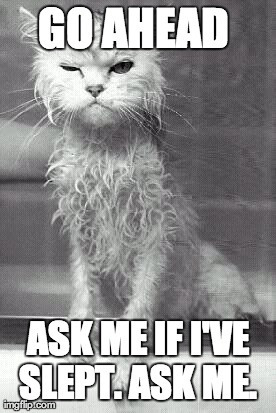 You have to ask. If you’re looking for a way to land the perfect internship or job and you think your professor could help, ask him or her if they will. Everything before this has been a platform to get you a ‘yes,’ but in order to receive an answer, you have to first ask the question. All in all, remember that professors are people too. They can get frustrated and overwhelmed just like students do. 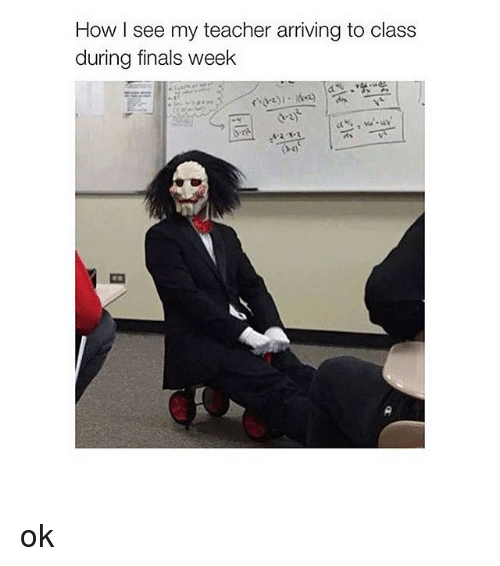 Keep that in mind and if your professors seem to be having an off day and they move past your question without answering or tell you they don’t have time to talk with you after class, just try again the next day. Your professors are there for you and are there to help you learn and grow. Still, it won’t happen if you don’t put in the effort too. Be attentive, be engaged and interested. Create lasting relationships with your professors and stand out from the rest of your class. Have other tips for standing out in classes of hundreds, or a story about your experience in a large class? Tell us in the comments! If you’ve paid any attention to the news lately, you’ll know that millennials have it rough. They’ve been accused of killing every industry from chain restaurants to diamonds. But when you hear that 44% of millennials are saddled with student loan debt compared to only 13% of baby boomers, it’s not hard to imagine why they’re not dropping their money on some diamond bling. Surviving as a millennial with college debt can be tough, but we’ve put together some tips to make things a little easier. You probably have a bunch of friends in the same boat as you, so band together to make things a little easier. Having roommates can make the biggest impact on your budget by splitting housing costs, but think about any other expenses that could also be shared. Shopping in bulk can help you save money, so think about sharing a membership to a bulk warehouse like Costco or BJ’s. You can also share subscriptions like Hulu, Netflix or Amazon Prime with roommates and enjoy the savings that come with cutting cable. 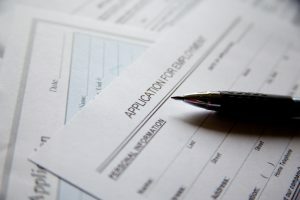 If your entry level salary is leaving things a little tight at the end of the month, it might be a good idea to look into options for lowering your monthly student loan payment. Student loan payments are often one of the biggest expenses for millennials, so cutting it down to a manageable payment can make a huge difference in your budget. Refinancing your student loan debt can help you get a smaller monthly payment as well as a better interest rate, which helps you save more money in the long run. Refinancing comes with different terms than your original loan so make sure you read all of the fine print to ensure it’s the best choice for you. This option will have a big impact on your life, but can make a huge difference if you can swing it. With a little research you can find many jobs that qualify for student loan forgiveness from the government or private companies that offer various student loan payment or reimbursement benefits. Working one of these jobs for the first couple years out of college might mean you make a little bit less than you could, but the benefits are an unbelievable perk. This is a great way to get a huge jump on your college debt and can make a big difference in your future. When you’re drowning in student loan debt it can be easy to think you need to restrict your budget so much that there’s no money available for anything fun. This usually results in unplanned binges, whether it be on food, clothes, drinks at the bar, or random items from Target. Instead of completely throwing off your budget, it’s better to build a “Fun Money” category into your budget so you can treat yourself with the reassurance that you’ll still be able to make your rent payment that month. If your loan has a grace period, it’s important to use it to your advantage as much as possible. Use this time to get a job and learn about your debt and what you’ll be expected to pay. If you’re in a position to do so, start paying your loan before the grace period ends. The sooner you start paying your loan, the sooner it gets paid off and you’ll be reducing the amount of interest you ultimately pay. Plus, you’ll get used to the payment coming out of your account every month so it won’t come as a shock six months down the road. The Fourth of July is not too far away from now and that means it’s time to start planning out your celebration for this special day. There are many ways in which people choose to spend this day including a family BBQ at home, parties, community events, etc. Each state celebrates the Fourth of July in different and unique ways. 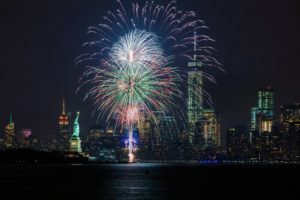 If you are looking to travel for this special occasion, grab your American flags and start packing because we put together a list of the best places to travel for the Fourth of July! 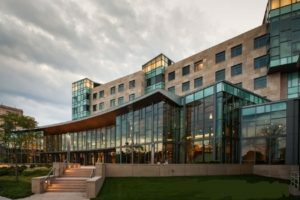 Traverse City is known for having a more traditional celebration for July 4th. They not only throw a party for the holiday, but they also have a long festival to go with it! From June 30th-July 7th, the city hosts the National Cherry Festival. 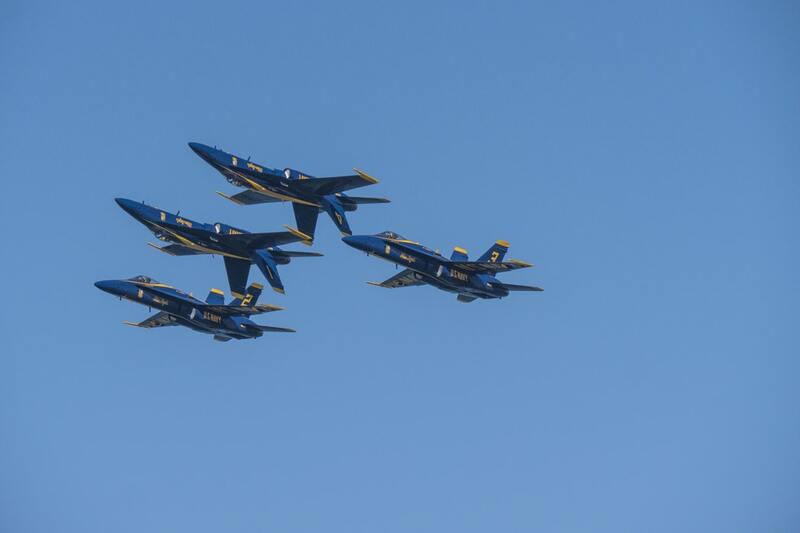 During the festival you can view the U.S. Navy Blue Angels air show over the West Grand Traverse Bay, enter a cherry pie eating contest and cherry pit spit contest, and many more traditional city events. On July 4th, they hold a large fireworks show hosted by the TC Boom Boom Club. If you are looking for a low key July 4th celebration, this is the place to go. 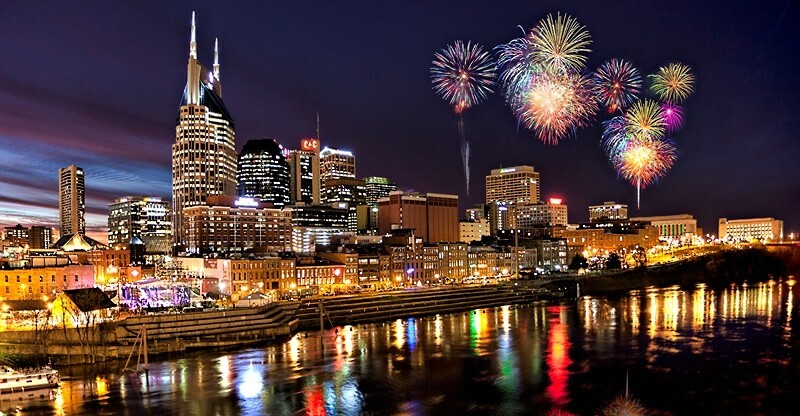 Nashville is known to be called ‘Music City’. 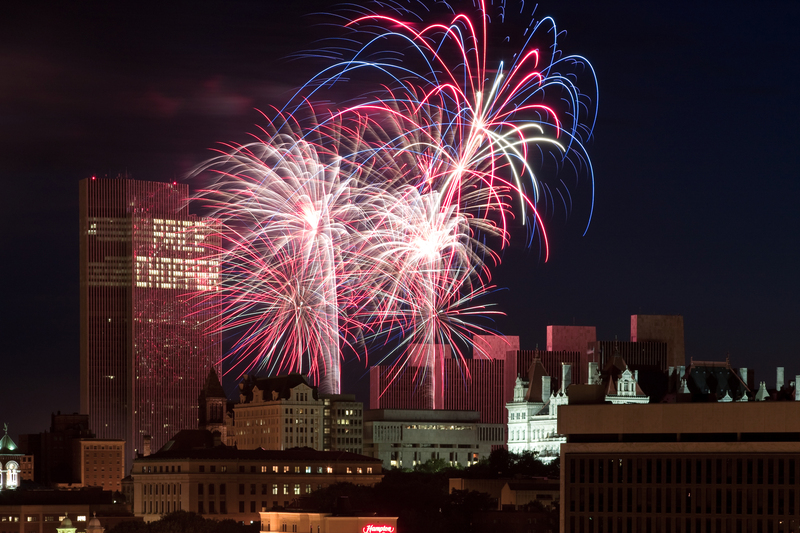 The city holds up its reputation on July 4th by throwing day long concerts. This year they have Lady Antebellum, Chris Janson, Lucie Silvas, and Shannon Sanders performing. 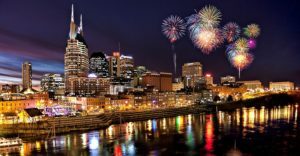 As the grand finale, the Nashville Symphony will perform in synchronization with the fireworks show. If you’re a music lover, this is the place to celebrate July 4th. 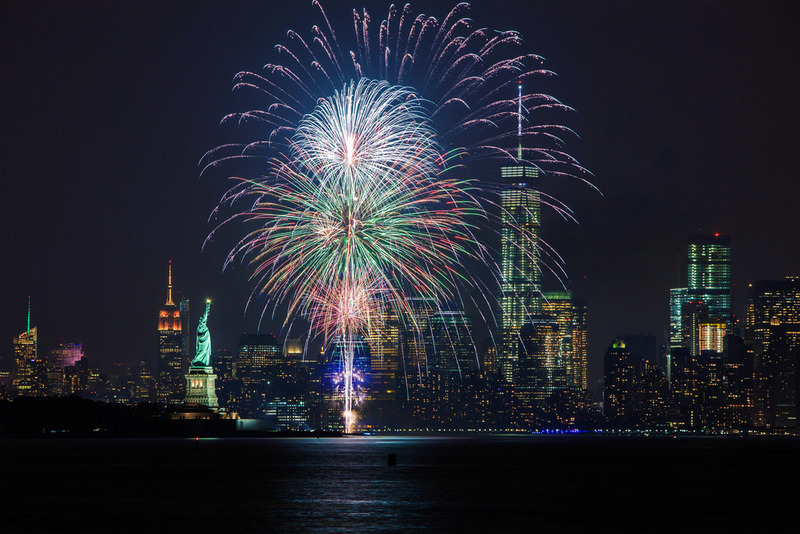 It’s no surprise that New York City makes the list of best places to visit on July 4th. After all, this is the city that never sleeps. During the day, people love to visit some of New York City’s Revolutionary War locations to get in the groove of this patriotic day. In the evening, people attend the water boat show, go to the Midsummer Night Swing dance party, and then finally Macy’s large fireworks show. You can view the show from many areas in the city including roof top bars, boats, hotels, and more. If you love large celebrations, New York City is known to hold one of the best in the United States. 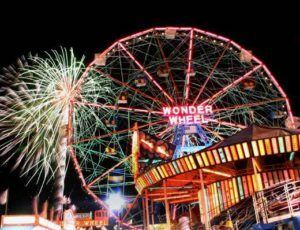 Speaking of New York, another place that holds great July 4th celebrations is Coney Island in Brooklyn. Every year on July 4th, Coney Island hosts an annual Nathan’s Famous International Hot Dog Eating Contest. Many gather around the famous boardwalk to view the event while sporting Nathan’s Famous hats. After that, you can visit the Coney Island Circus Sideshow. You’ll see Wendy Blades the blade swallower, Nola Star the fire dancer/fire eater, and a lot more. At night, Coney Island will have their fireworks show which can be viewed from the boardwalks. 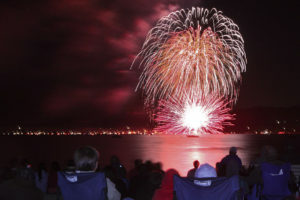 The fireworks display at South Lake Tahoe has been listed as one of the top five displays in the nation according to the American Pyrotechnics Association. 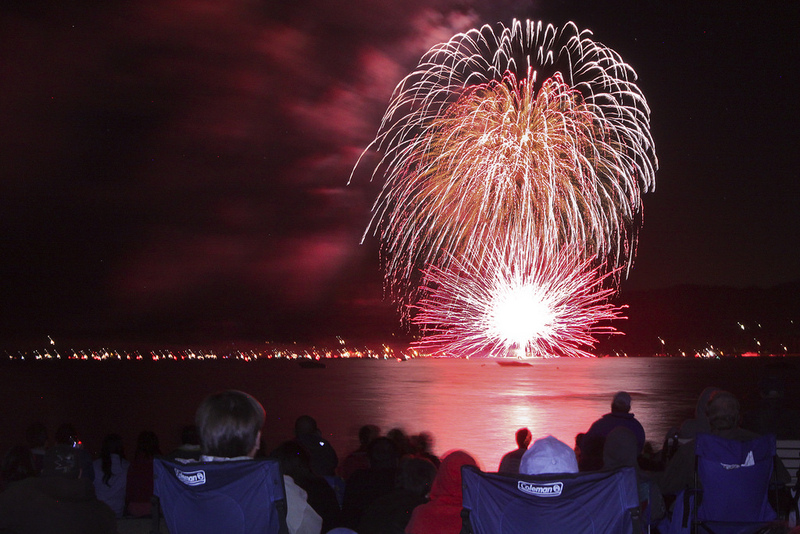 If you are looking for a beautiful fireworks show, you can get the best vantage points from riding one of Lake Tahoe’s boats. The Safari Rose is an 80-foot long yacht known for their fireworks cruise. You’ll have access to unlimited beer, wine, champagne as well as a nice dinner. The M.S. Dixie is another excellent option for viewing the fireworks on the lake. If you are one for beautiful scenery, South Lake Tahoe is the place to go. 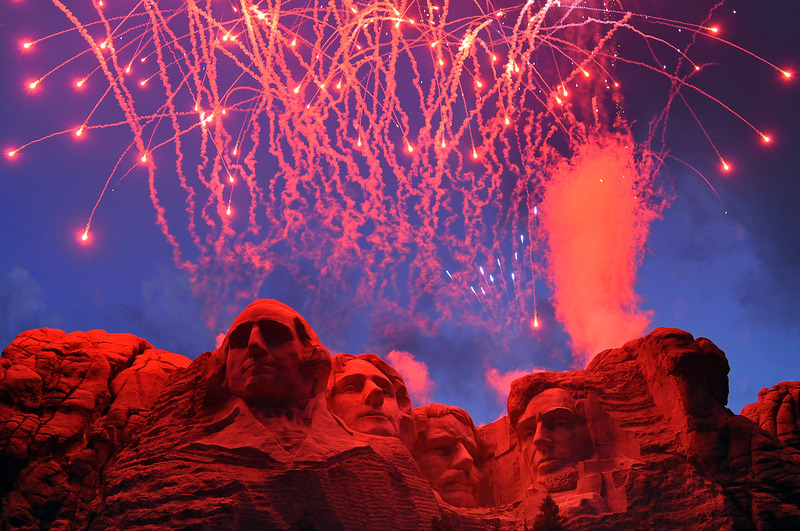 The Mount Rushmore Fourth of July event takes two days to celebrate. On July 3rd, you’ll see performances from local musicians and dance troupes, the National Guard, local Navajo culture groups, and more. Mount Rushmore’s fireworks display takes place on the 3rd instead of the 4th. The fireworks are shot off right over the stone heads. On July 4th, you’ll have a full day of brass bands, military aircraft shows, presentations from American-Indian groups, and see performances from more local musicians and dancers. 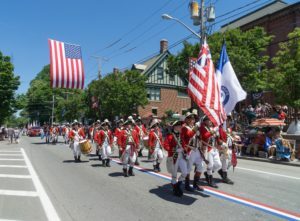 The celebration of July 4th in Bristol is a great place for people who live in New England and others who want to visit Rhode Island. On July 3rd, you can view the local downtown concert series and watch the fireworks display over Bristol Harbor. 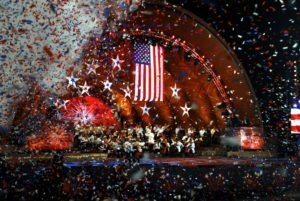 On July 4th, the celebration includes a parade, Fourth of July ball, drum and bugle competition, a Miss and Little Miss pageant, and more. Boston has a plethora of Revolutionary War history, making it the ideal area for celebrating the Fourth of July. Every year the city holds a Boston Harborfest. This year it starts on June 28th and last until July 4th. During the festival you’ll witness Revolutionary War reenactments, go on boat tours/walking tours, and hear live entertainment. 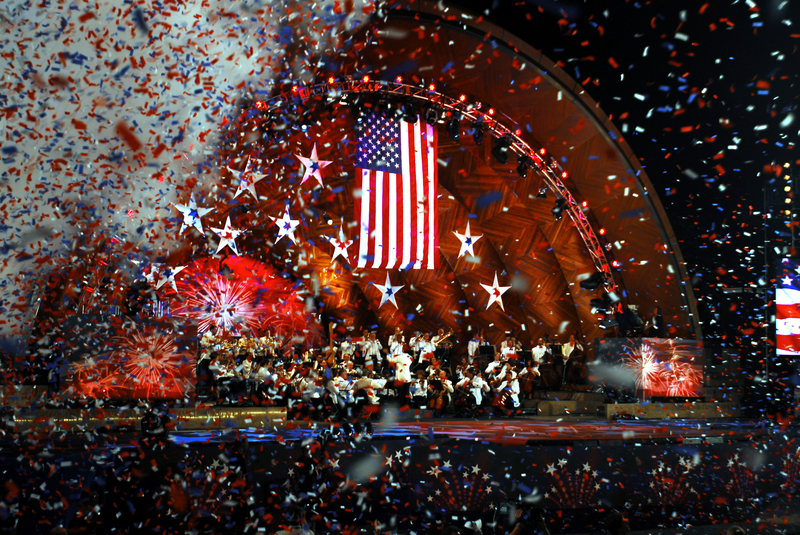 On July 4th, the Boston POP has a concert followed by a 23-minute fireworks show over Charles River. 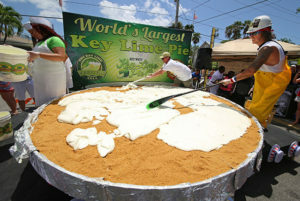 Key West’s Fourth of July celebration always lands on the week of their annual Key Lime Festival, making it the best of both worlds for a party. Even though Key West is a small island, there’s still a lot to do on this day. You can enter a key lime pie eating contest, go snorkeling, go on bike rides, and hop on board the Fury for a fireworks cruise. It’s said that if you want the best view of the fireworks show, then the Fury boat is the way to go. For those who enjoy the great outdoors, fresh air, beer trails, and celebrations, Boulder is the place for you. For the past two years, Travel + Leisure has named Boulder, Colorado one of the five best towns in America for July 4th, and it’s easy to see why. 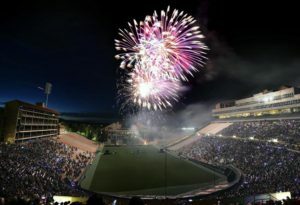 There’s a wide array of events to attend during the Fourth of July including a fireworks show at the University of Colorado’s football stadium, Folsom Field. Over at the Boulder Reservoir, they hold a 5/10K Craig Towler Freedom Run at 8am, have their beer garden open, invite families to picnic at their location, and more. 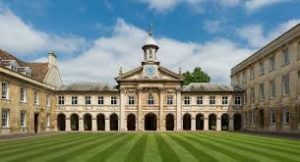 There are many amazing colleges all around the world, but have you ever wondered which colleges are the best of the best? Look no further! 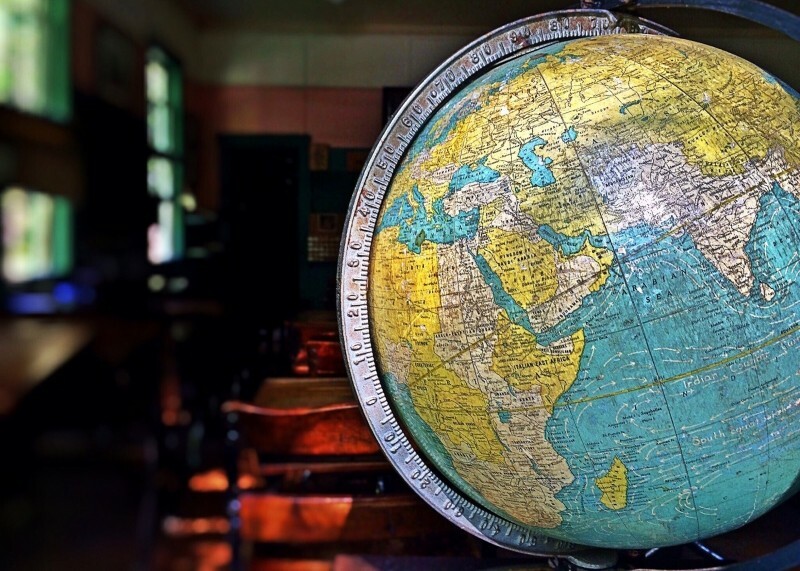 We put together a list of the top 3 ranking global colleges in 2018 for each continent using data from U.S. News. They evaluated 1,250 universities across 74 countries and were able to come up with a rating system to rank each university in order. If you want more details about the methodology used to calculate the rankings, you can scroll to the bottom of this blog and read about it. 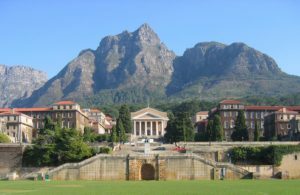 With an overall global score of 64.4, the University of Cape Town is the number one global university in Africa in 2018 and ranked #113 in the world. This school is known for being the second oldest university in Africa along with being a representative of forward thinking and modern African optimism. 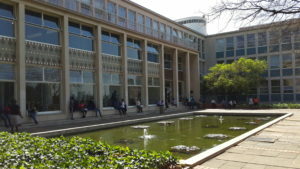 With an overall score of 57.1, the University of Witwatersrand is the second best global university in Africa in 2018 and ranked #216 in the world. 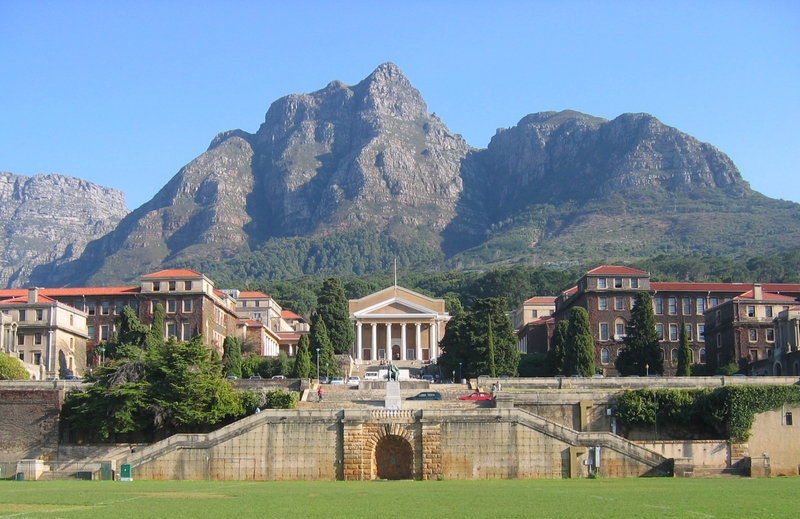 This school is known for being one of the best medical schools in the continent and being home to one of the largest fossil collections in the southern hemisphere. 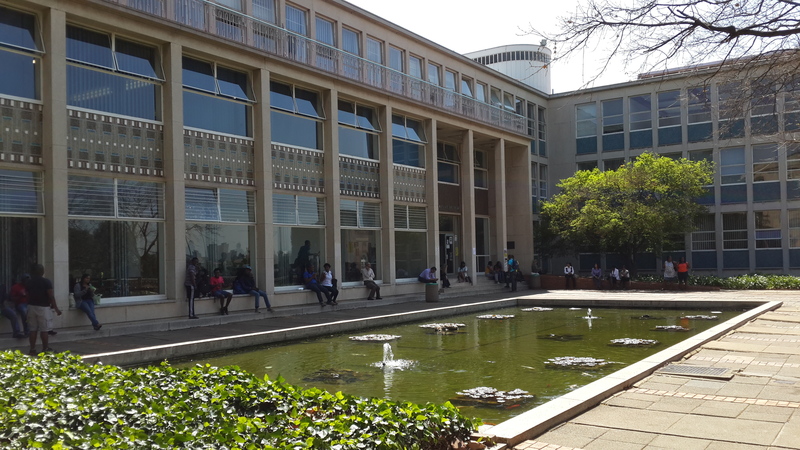 With an overall global score of 50.4, the University of KwaZulu Natal is the third best global university in Africa in 2018 and ranked #336 in the world. 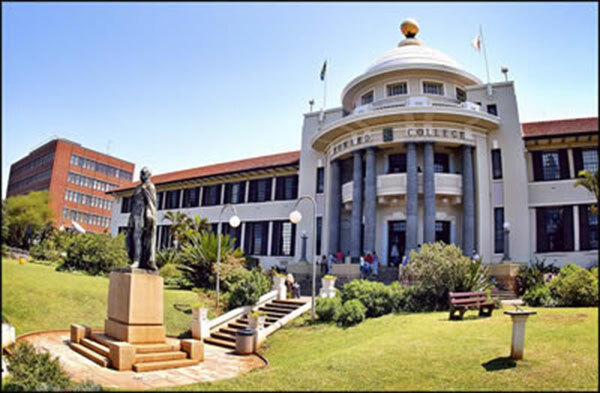 This school is known for it’s merging of two historical universities; Durban-Westville and the University of Natal back in January 2004. 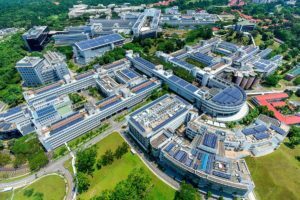 With an overall global score of 73.2, the National University of Singapore is the number one global university in Asia in 2018 and ranked #43 in the world. This school is known for not only being the first Yale titled Ivy League school in Asia, but for also being the first liberal arts college in Singapore. 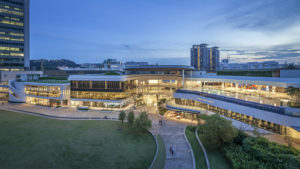 With an overall global score of 71.4, Nanyang Technological University is the second best global university in Asia in 2018 and ranked #55 in the world. This school is known for holding on-campus weddings, being eco-friendly, having cat cafes and cat management networks, etc. 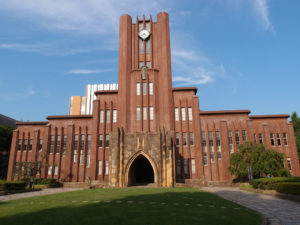 With an overall global score of 71.3, the University of Tokyo is the third best global university in Asia in 2018 and ranked #57 in the world. 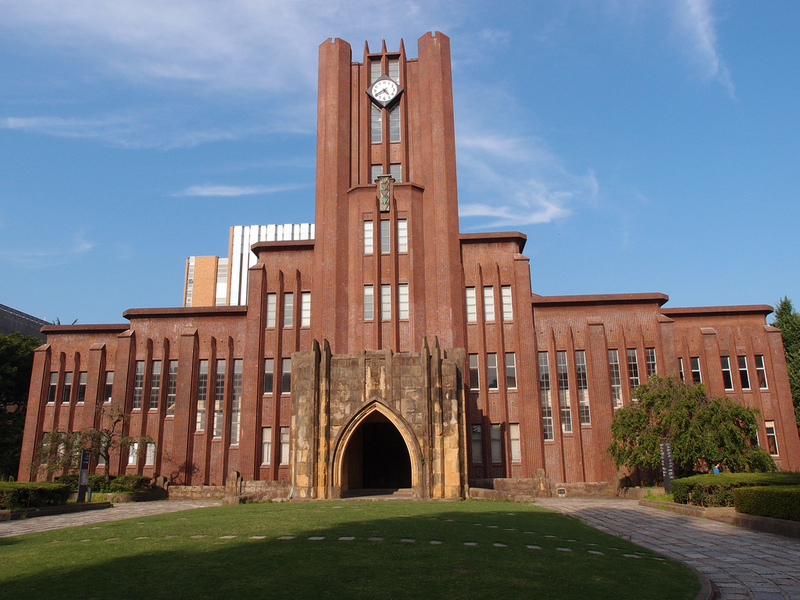 This school is known for being the birthplace of Japanese baseball. The first international baseball game was held with the University of Tokyo’s participation. 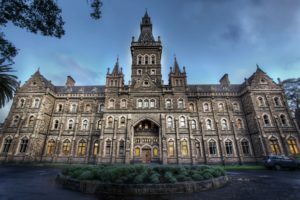 With an overall global score of 75.8, the University of Melbourne is the number one global university in Australia in 2018 and ranked #26 in the world. 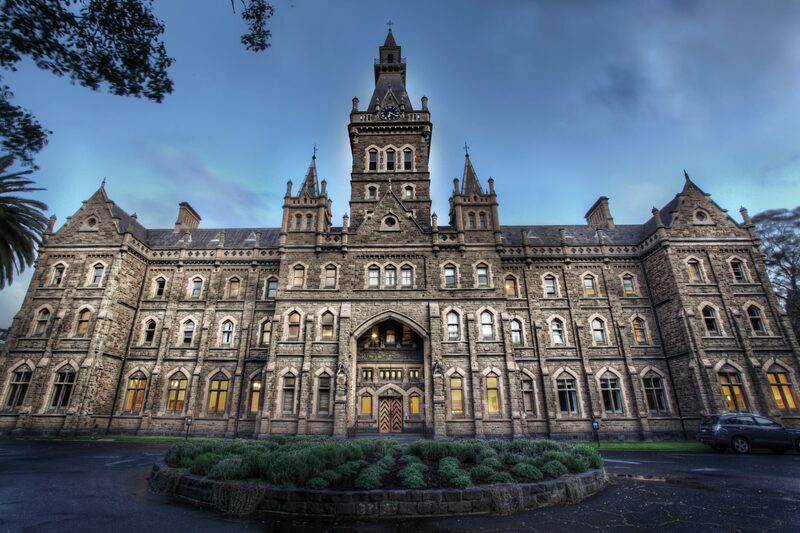 The city of Melbourne is known for regularly topping the list for the world’s most livable cities, making the University of Melbourne a desirable location to study. With an overall global score of 74.5, the University of Sydney is the second best overall global university in Australia in 2018 and ranked #34 in the world. 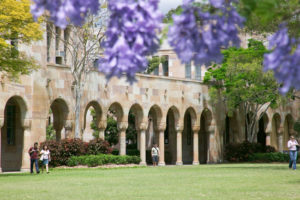 This school is recognized worldwide for their excellent research and teaching along with being the oldest university in Australia. 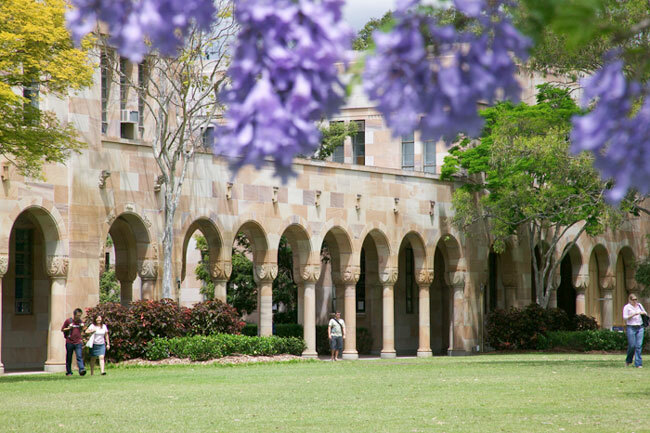 With an overall global score of 72.9, the University of Queensland Australia is the third best overall global university in Australia in 2018 and #45 in the world. 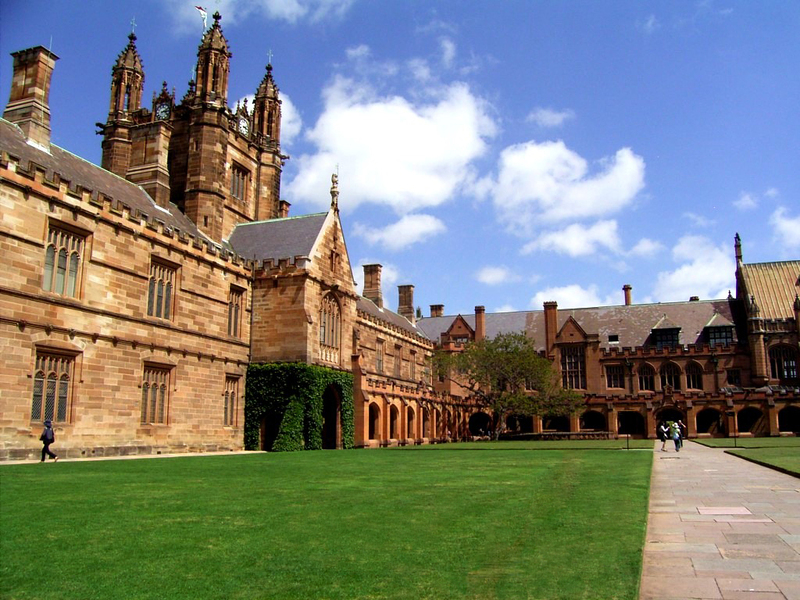 This school is known for having one of the largest PhD enrollments in Australia. 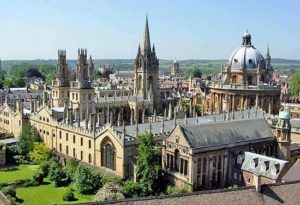 With an overall global score of 87.3, the University of Oxford is the number one global university in Europe in 2018 and ranked #5 in the world. This school is known for influencing the English language. In 1857, existing English language dictionaries were considered incomplete and deficient. It called for a complete re-examination. By 1879, the Oxford University Press worked on a New English dictionary (now known as the Oxford English Dictionary). With an overall global score of 85.3, the University of Cambridge is the second best global university in Europe in 2018 and ranked #7 in the world. This school is known for its many libraries. There are over 100 libraries on campus. The central library alone has about 8 million volumes available. Other on-campus libraries hold books from Sir Isaac Newton’s personal library, early Shakespeare editions, etc. With an overall global score of 81.3, Imperial College London is the third best global university in Europe in 2018 and ranked #17 in the world. 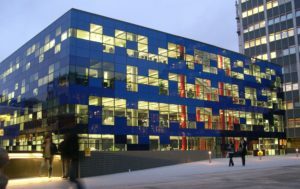 This school is known for housing the largest brain bank in the United Kingdom. It holds a collection of central nervous system tissue donated by individuals who had multiple sclerosis, Parkinson’s disease, and other related conditions. There are around 1,650 specimen stored in this brain bank at -80°C. With an overall global score of 61.4, the University of Sāo Paulo is the number one global university in Latin America in 2018 and ranked #153 in the world. This school is known for its museums and art galleries which are mostly located on central campus. 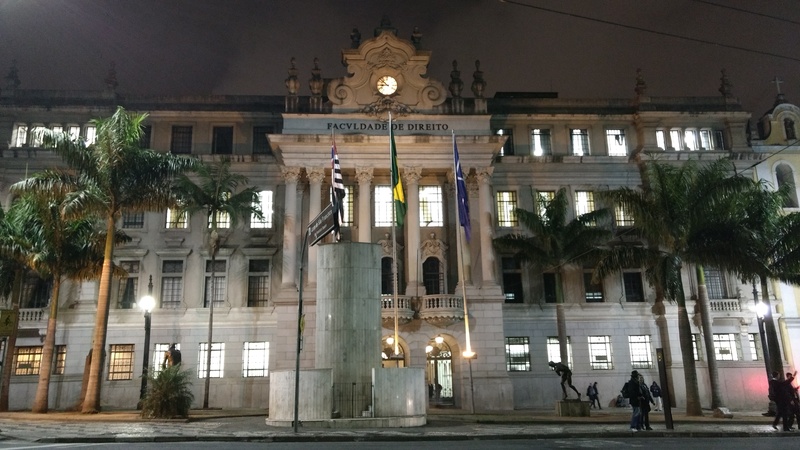 There’s the Museum of Contemporary Art, the Paulista Museum (Historical Museum of São Paulo), the Museum of Zoology, and the Museum of Archeology and Ethnology USP. 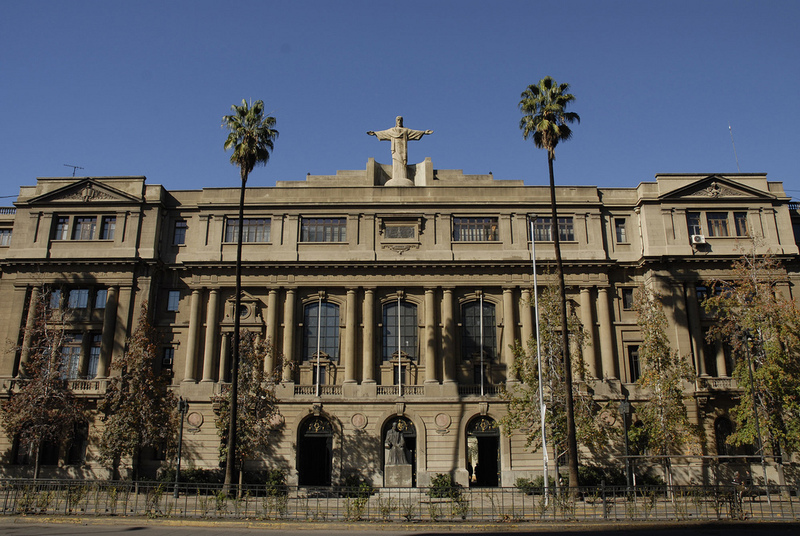 With an overall global score of 61.4, Pontifical Catholic University of Chile is the second best global university in Latin America in 2018 and ranked #315 in the world. This school is known for its historical religious background. 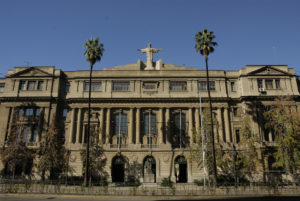 It was founded by the Santiago Archbishop in 1888, declared a pontifical university by Pope Pius XI in 1930, and still holds a close relationship with the Vatican to this day. 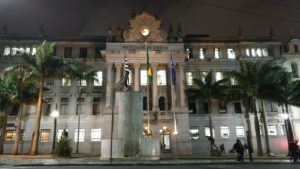 With an overall global score of 50.3, the Federal University of Rio de Janeiro is the third best school in Latin America in 2018 and ranked #338 in the world. This school is known for its famous infrastructure. 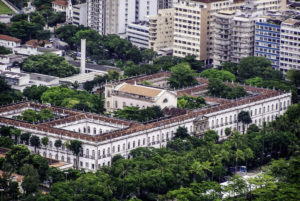 The Federal University of Rio de Janeiro’s main infrastructure is located on an artificial island called Ilha Do Fundão Island. It was created by the union of various existing islands by using embankment dams (artificial dams) in 1950. With an overall global score of 100, Harvard University i the best global university in North America in 2018 and ranked #1 in the world. 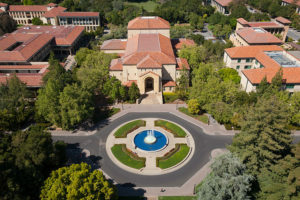 As one of the most prestigious schools in the United States, this school is known for it’s alumni who went on to become United States Presidents. Rutherford Hayes, George W. Bush, John F. Kennedy, Franklin Roosevelt, Theodore Roosevelt, John Quincy Adams, John Adams, and Barack Obama all attended Harvard University. With an overall global score of 97.3, Massachusetts Institute of Technology is the second best global University in North America in 2018 and ranked #2 in the world. This school is known for its many world changing innovations. In 1940, MIT perfected radar technology which saved lives during WWII. In 2000, MIT was able to use radar technology to save the lives of cancer patients. 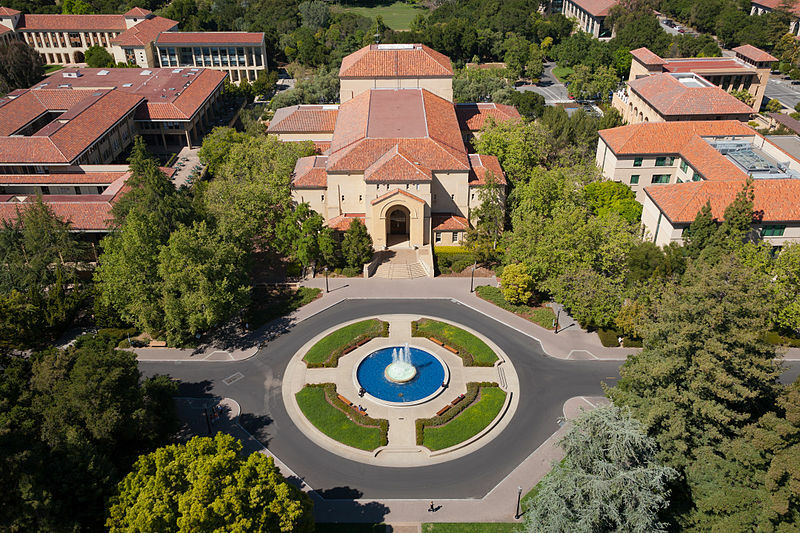 With an overall global score of 92.3, Stanford University is the third best global university in North America in 2018 and ranked #3 in the world. This school is known for their rich sports heritage. Since 1908, students from Stanford University have won in every Olympic game. They have a total of 270 medals, 139 which are gold. Global research reputation (12.5%), regional research reputation (12.5%), publications (10%), books (2.5%), conferences (2.5%), normalized citation impact (10%), total citations (7.5%), number of publications that are among the top 10 percent most cited (12.5%), percentage of total publications that are among the top 10 percent most cited (10%), international collaboration (5%), percentage of total publications with international collaboration (5%), number of highly cited papers that are among the top 1 percent most cited in their respective field (5%), and the percentage of total publications that are among the top 1 percent most highly cited papers (5%). If you want to see each individual university’s 13 indicators, you can click on the school above each picture. For a more detailed description of the methodology used, click here. 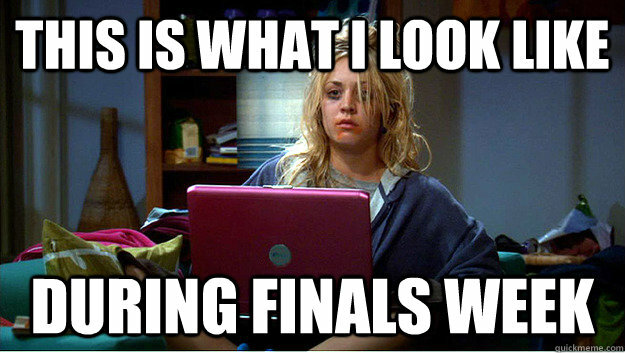 It’s time to prepare for mental breakdowns and all-nighters. Why? 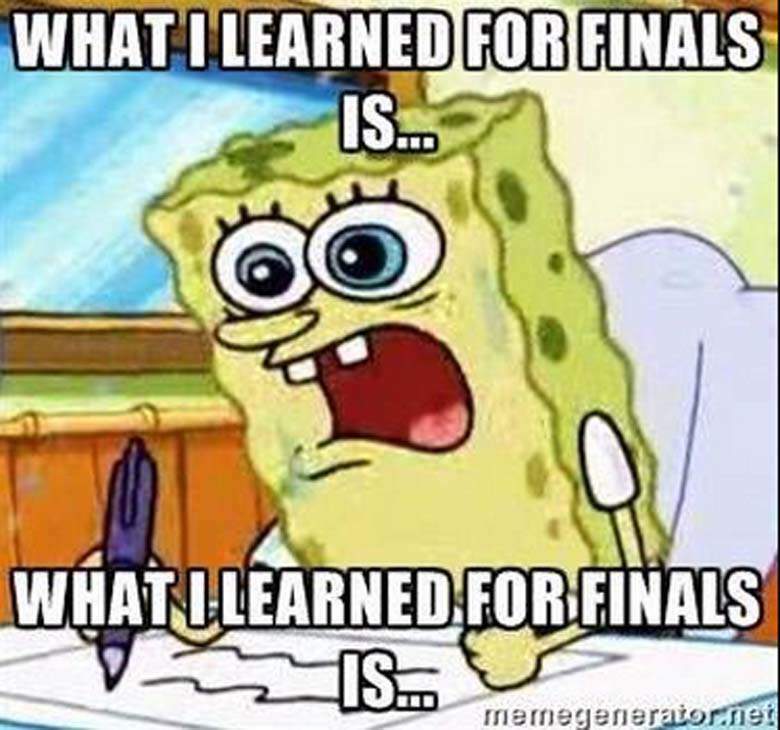 Because it’s finals week! 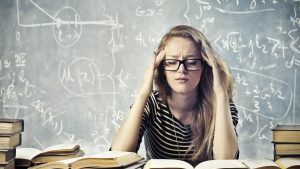 On every college student’s least favorite week of the semester, you’ll find yourself pouring Red Bull into your coffee, calculating the lowest score you can get to pass your classes, and just plain wondering why you chose the major you chose. 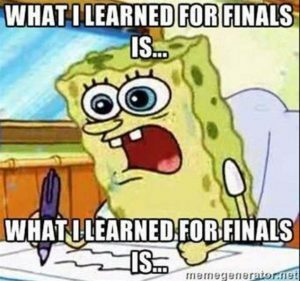 During this stressful time, it’s good to at least get in a laugh or two, so here’s a list of 12 memes we can all relate to during finals! 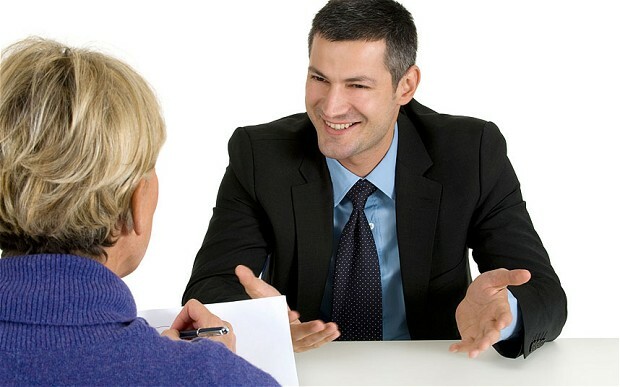 Interviews are a nerve-racking time for some people because they feel like they are stuck in the hot seat. 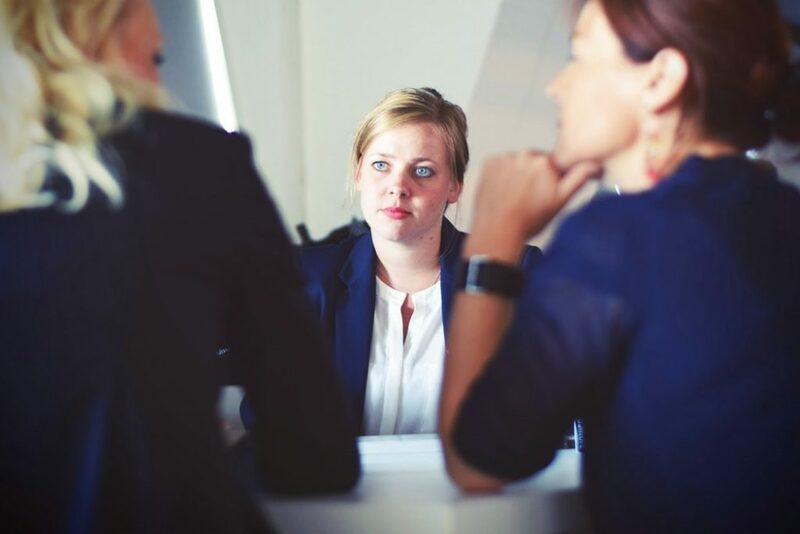 It’s a common emotion among interviewees, but you have to remember, you won’t be the first or last person an employer will interview, nor the first or last to succeed or fail in getting the job. The best thing you can do for yourself is practice as much as possible. Even if you don’t get the job, it’s still good to get that interview experience. The more interviews you go on, the better you get. 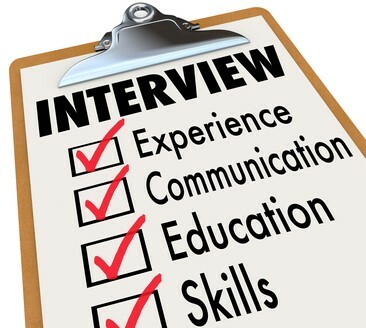 We compiled a list of top ten qualities employers look for in interviews. If you practice these ahead of time, you’ll find yourself much more prepared. Nothing is worse than being asked a question based off your resume and taking a minute to think of a response. 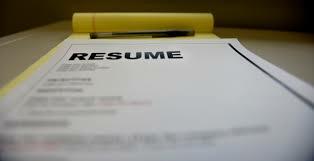 Make sure you look over your resume prior to the interview because you will most likely be asked a question based on it. A common question interviewers like to ask is “What do you know about our company?” or “Have you done any research on us?”. It’s best to look up the company prior to the interview to be prepared for questions like this. It also helps you learn if you match what the company is all about. You need to make sure you know what you are interviewing for. Looking at an application and checking the list of things you’ll be required to do will help you better understand what to expect. 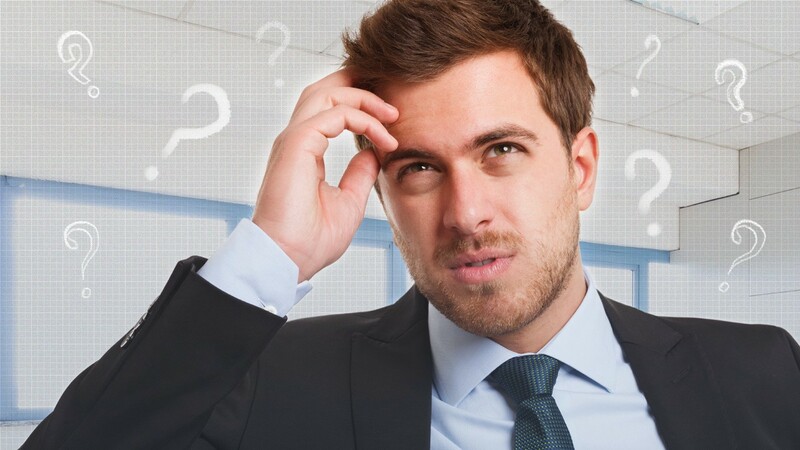 It doesn’t look good if you walk into an interview and become confused on what you applied for. It’s good to feel relaxed during an interview, but that doesn’t mean slouching your back or looking down at your nails. Keeping your back straight and keeping yourself from fidgeting gives off a more professional and confident look. It’s also good to make eye contact with the interviewer because it shows that you’re listening. Employers strive for people who have a strong work ethic for a job. They like to see employees show passion and take the extra mile to get the job done. Having a lack of interest in the job you are applying for gives off the impression that you’re only willing to do the bare minimum, which will less likely get you hired. Do you fill the requirements for this job? What skills do you bring to the table? 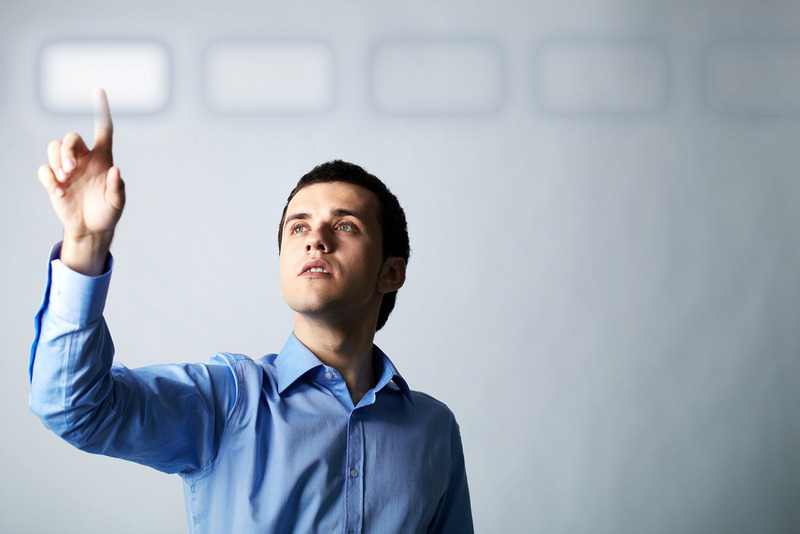 Employers like to know what you can do to better the company as well as get the job done. Briefly discussing your experience and skills will help you express why you are the best fit for the position. Showing that you have a good personality is highly desirable among employers. It helps your employer determine if you are a good match for the company. Knowing if you are likable and can work well around others is integral to working for a company. A version of the question “Tell me about yourself” may arise at some point, so come prepared with an honest answer. 1. To see if you set and achieve goals at work. 2. 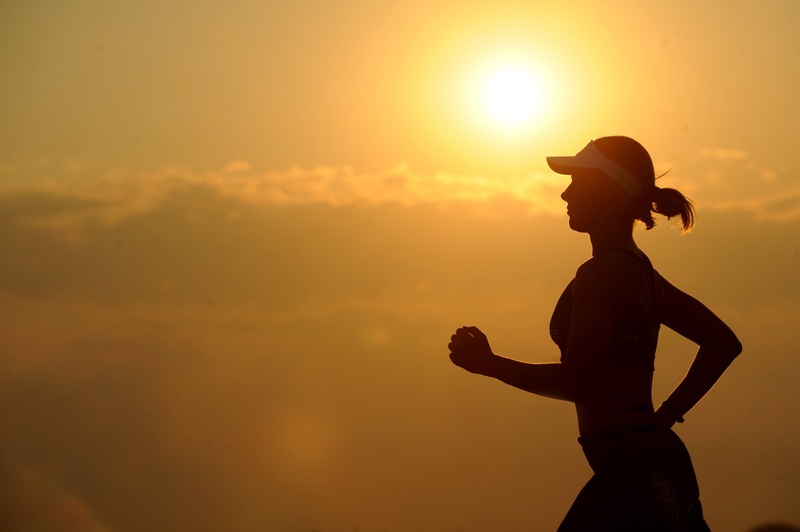 To learn what your primary motivators at work are. Now is not the time to be shy. Towards the end of the interview, ask any questions you have about the company you are applying for. Questions such as “What do you expect out of your employees filling this role?” are good to ask because it shows the employer you are interested in the job. 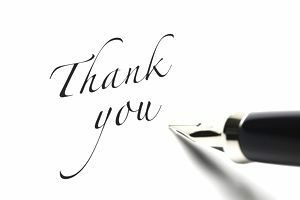 Whether your interview was over the phone, video chat, or in person, you should always send a thank you letter to your interviewer. It shows good manners and appreciation for the time the interviewer took out of their day to meet you. You can either email, send a formal letter, or call to show your appreciation. Make sure you wait at least 24 hours before doing so. You can view examples of thank you letters here. Ahhh college. The best four years of your life. You make new friends, educate your future, live on your own, struggle with classes, and feel like ripping your hair out every once in a while. Okay…maybe it isn’t the best four years of life for everyone, BUT there’s certainly ways to make life a little easier! Check out our 20 college hacks and watch your life be forever changed! 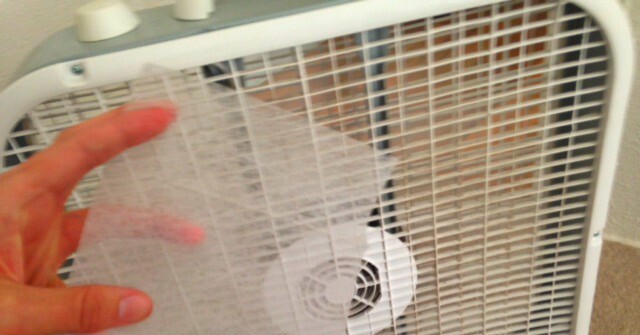 Stick a dryer sheet on the back of a fan while it’s on. This gets rid of bad smells in your dorm! 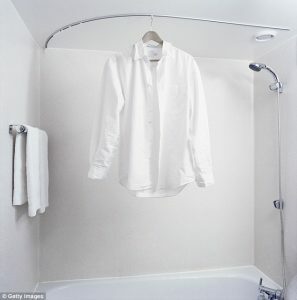 For those who don’t have time to iron their clothes, hang a shirt somewhere in your bathroom while you shower. The steam from the shower gets the wrinkles out. 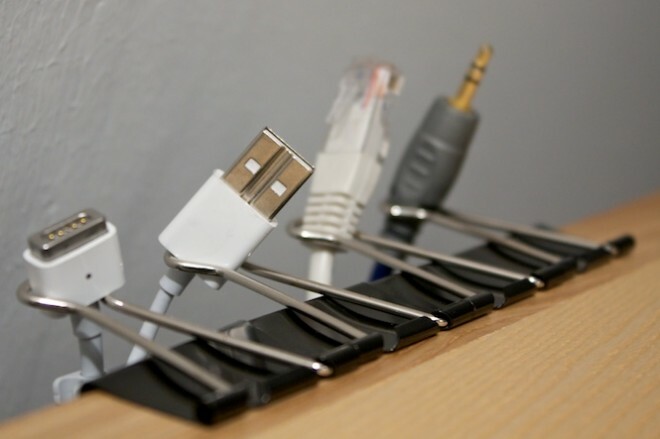 Sticking binder clips to you desk helps keep your cords organized and prevents them from tangling up. 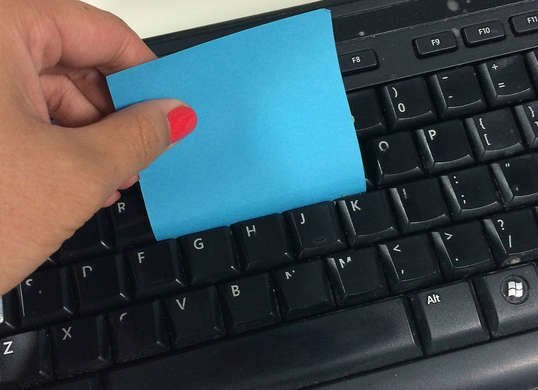 Use a Post-It note to clean your keyboard. The sticky side of the note collects all the gunk that was stuck underneath! 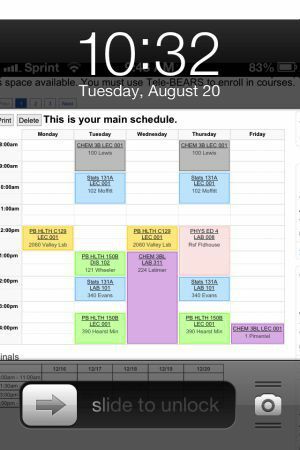 During your first few weeks of class, screenshotting your schedule and making it your lock screen helps you memorize it. You’ll never forget your schedule again! Leave a few pages in the front of your notebook blank for a table of contents. This way you’ll know where everything is when it comes time for the big test! If you’re up late doing homework, listen to movie scores. 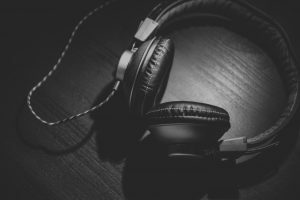 There’s no distracting lyrics and it keeps you motivated! At the beginning of each semester, highlight important dates and put them into your calendar for the best class preparation. 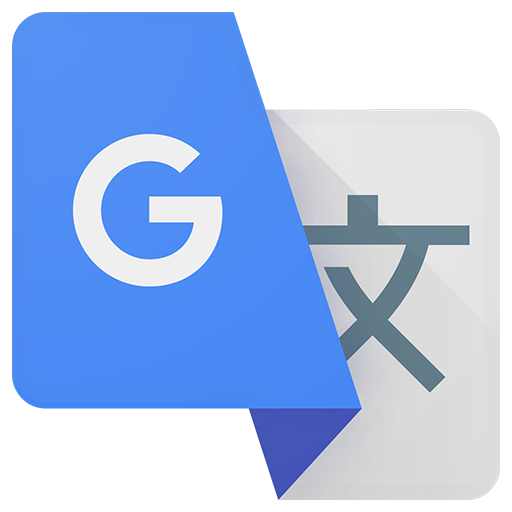 After writing a paper, copy and paste it into Google Translate. This allows you to check for any misspells or grammatical errors! 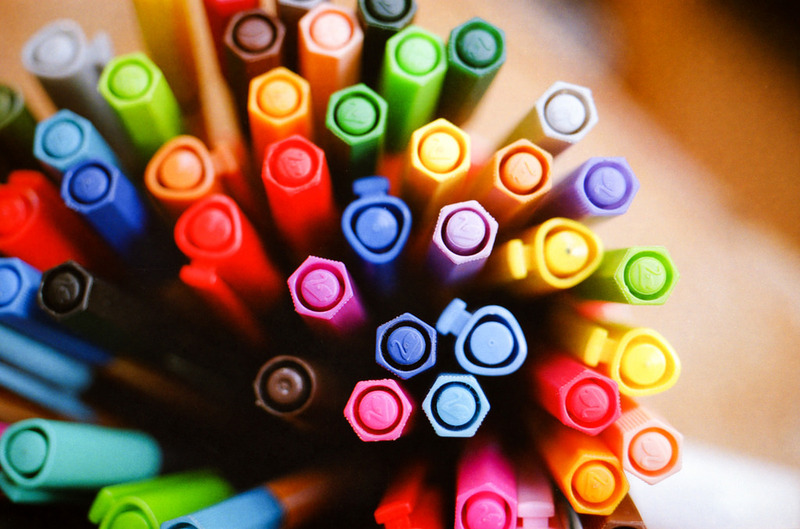 Color coding notes with pens is a great way to stay organized. The correlation between the colors and theme makes it easier to remember. Just make sure you don’t use too many colors on a subject. This could lead to you being overwhelmed! 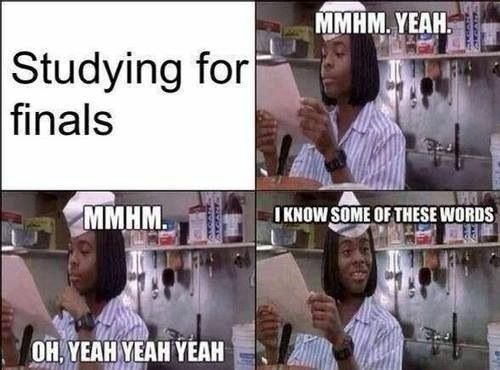 We’ve all been through the struggle of reading the textbook and attempting to retain its information. A good incentive to stay on track is to put pieces of candy on each paragraph of the assigned reading. 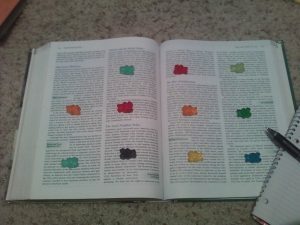 Every time you reach a paragraph, you get to eat the candy. How’s that for motivation? Studies have shown that chewing a piece of gum while studying for exams and then chewing the same flavor during the test helps you recall the material better. 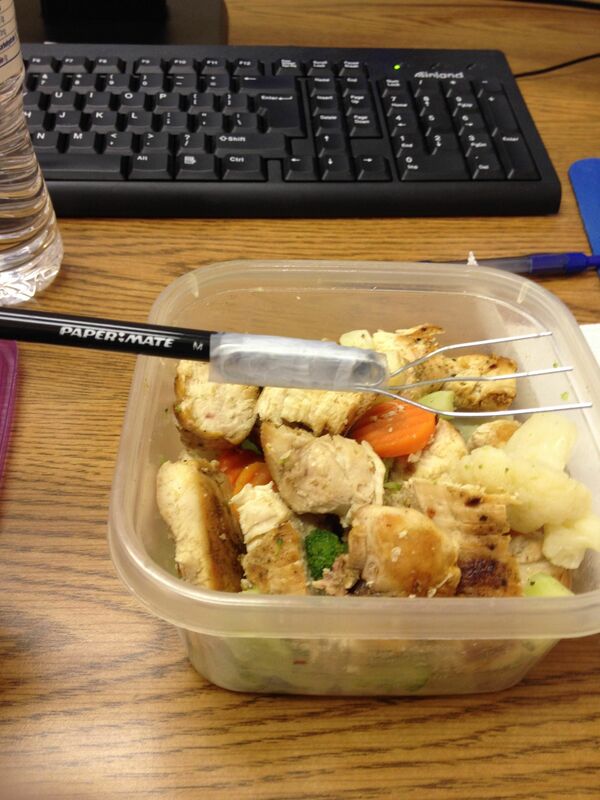 Have you ever forgotten to bring a fork with your packed lunch? No problem! 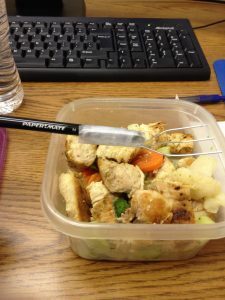 Just bend some paper clips, tape them together to a writing utensil, and you’ll be good to go! 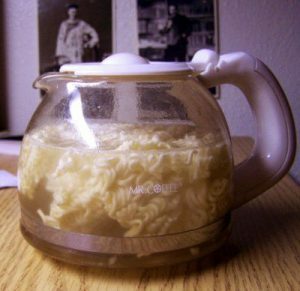 You can save time cooking simple foods such as pasta, hot dogs, and oatmeal in a coffee pot. Just add water and you’re good to go! Keurigs can have more than one use. 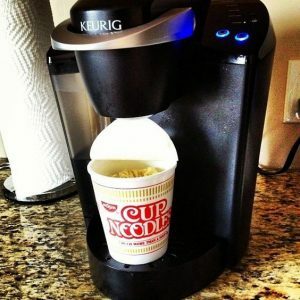 Try using it to get a hot cup of instant ramen noodles! 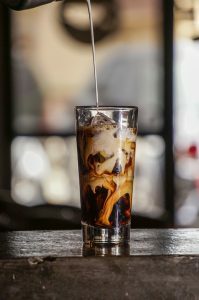 For those of you who are in a rush to get to class but need your coffee fix, there’s a way to get it in just two minutes! All you need is instant coffee, water, ice, and creamer! View how to do it here. Fill up an ice tray with your favorite fruit juices and freeze them for 3-4 hours. 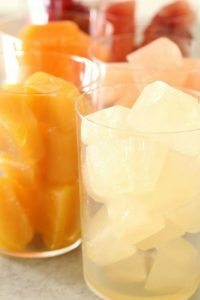 Add the cubes and a slice of fruit to some seltzer water and you’ll have a nice refreshing drink! 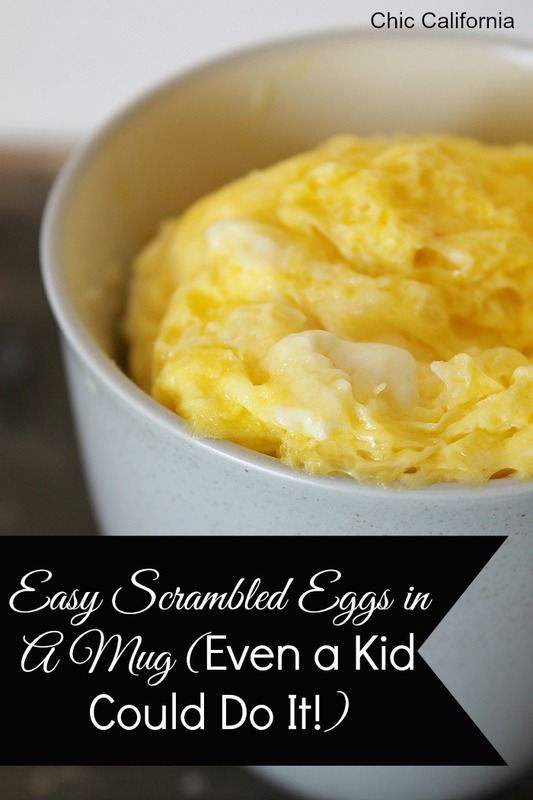 You don’t need a stove to get your morning eggs! If you have a microwave, you’re all set! View how to make them here. 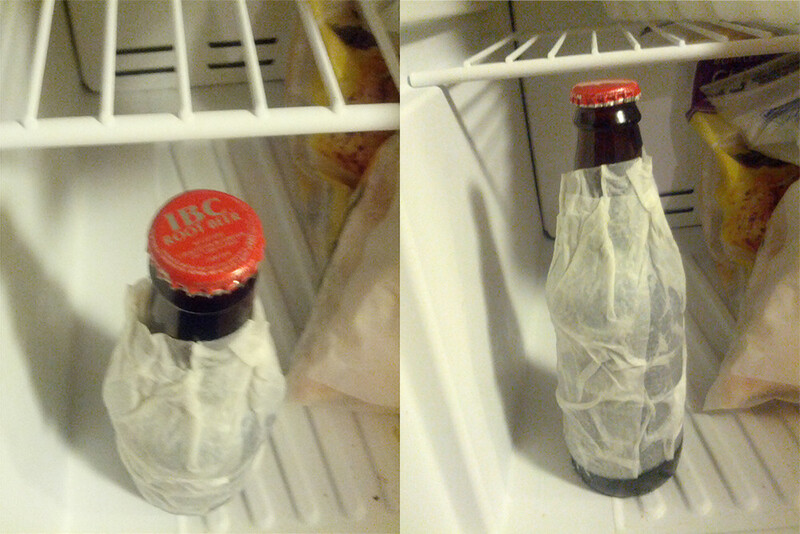 Wrap your bottled drink in a damp paper towel and put it in the freezer for 15 minutes. Your drink will be nice and cold! 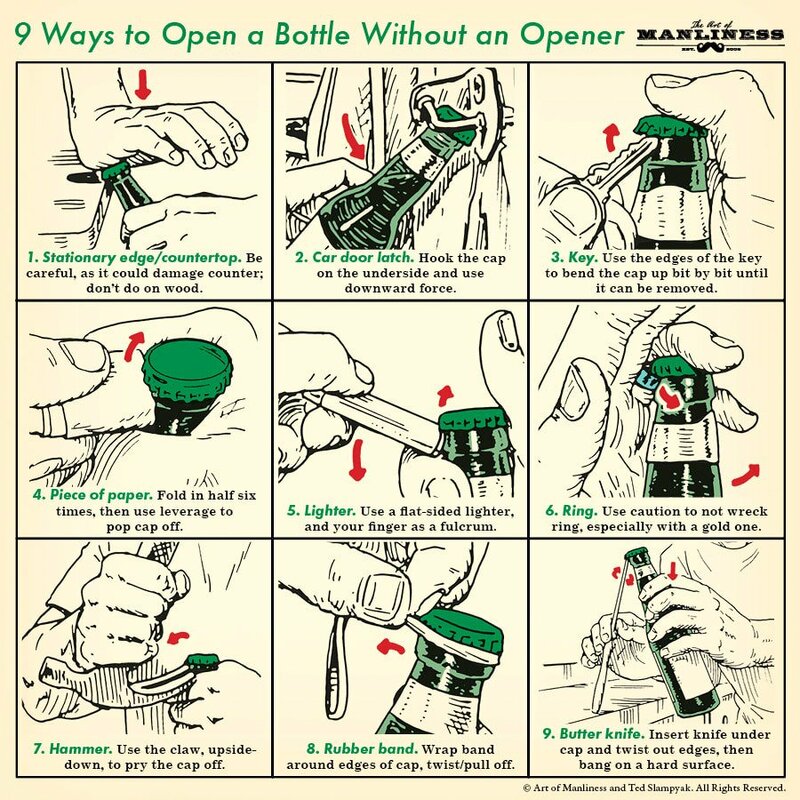 There are many tricks to opening a bottle when no bottle opener is around. Try out these 9 tricks! 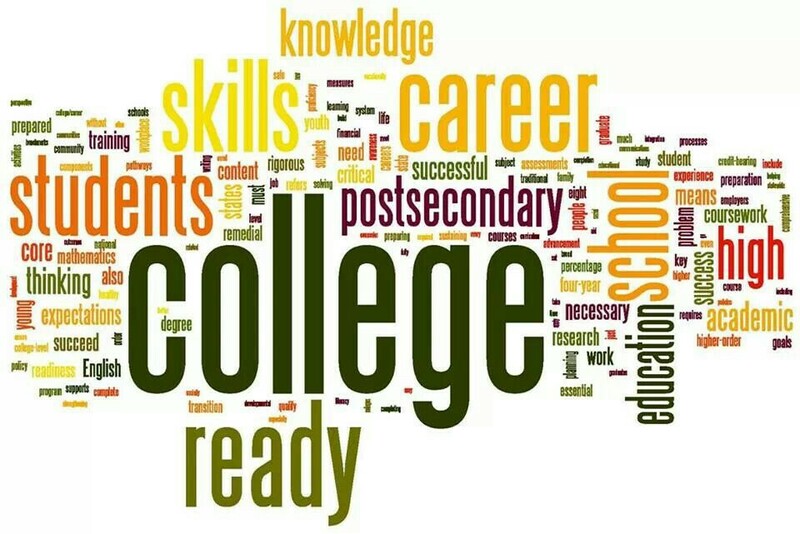 Common real-world skills we learned at college, in or out of the classroom. Parallel parking: If you’re from the city this might not apply to you, or if you don’t have a car. For those of us from the suburbs or country with a car on campus, we learned to parallel park soon after arriving to college. 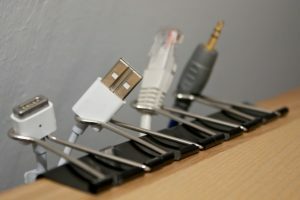 This skill comes in handy often when travelling home, to the city, or on vacation. It also widens your parking possibilities in any situation. Tolerance for extreme temperatures: As the weather gets colder, we adapt to walking across campus in the cold, with the wind blowing through our layers of jackets and long-johns. We learn in our first semesters to bundle up and forget about being cute. Independence: Whether you were looking forward to this or not, you become more independent in college. You have to if you go to college more than about an hour away from home. You (hopefully) learn how to do your laundry, budget your money, clean your room without being prompted, and study and do homework on your own free will. 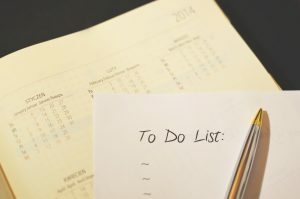 Time management: Sometimes, it takes people their whole college careers to get this down, but everyone learns throughout their college life how important time management is. Some people know the importance of it and still choose to manage their time badly. You have to balance classes, studying, work, friends, sleep, eating, and mental health. Usually this “balance” involves giving up one or more of these things, which one depends on your priorities. Multi-tasking: You may have been good at this before college, but you’ll be a master by the time you graduate. Multitasking can look like many things: eating while you work, study, or walk to class, taking homework to work, or considering meeting with a study group to be hanging out with friends. We learn a lot in college that may have nothing to do with our degrees, but these skills or pieces of knowledge are just as important as the information we learn in class. What are some skills you’ve learned in college that have become useful in real life? What are you most thankful for? 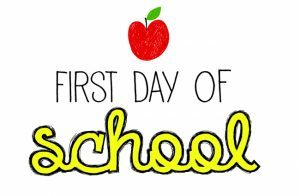 Whether it’s your first day of college or your second year of graduate school, the first day of a new semester is always nerve-wracking. 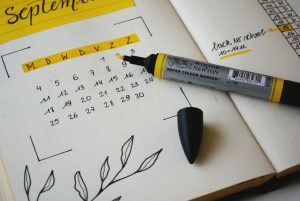 There are so many thoughts running through your head – with trying to memorize your new schedule and making sure you at least have a pen to write with. While walking through the hall, it may seem that other students have everything together, but trust me – they don’t. Everyone gets anxious – especially on the first day of the new semester. Here are a few thoughts that I had on my first day. 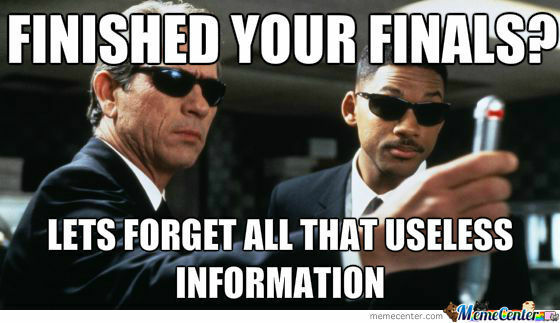 This seems to happen every semester. You have already checked your online schedule to see what building and room all of your classes are in. You make sure to park near said building, get to the classroom and there’s a note on the door. The note reads something along the lines of, “MEDA 111 Thurs 11:20-2:15 will now meet in MH Room 211”. Now you find yourself walking to Main Hall from a completely different building and are late for your first day…thanks, professor. So, you’ve scheduled some classes back-to-back. Your first ends at 2:30PM and your next starts at 2:50PM. It seems like a wonderful idea on paper but sometimes, when it comes down to the actual day, it just isn’t enough time to get from class to class. Sometimes the classes are in different buildings (which you could never know at the time of registration) or sometimes you’re starving and need to grab a quick snack before your afternoon class. Suddenly you don’t have enough time. While there are other times that scheduling back to back works perfectly. It’s a luck-of-the-draw type of situation and you won’t know until that very first day. As a commuter who attends a small, overcrowded college – I know this pain all too well. There’s no way that you can arrive 10 minutes before class starts because you spend at least 20 minutes trying to find a parking space. And this anxiety is heightened on the first day because there’s no way you want to be late. You cannot be labeled as the “late kid” for the rest of the semester. So, while you leave your house way too early, you think about this on your drive to school. It is safe to say that it’s a college wide consensus that this is the worst way to start the semester. You are all prepared to do introductions and go over the syllabus, hoping to have an easy day, and then the professor puts Chapter 1 up on the projector. 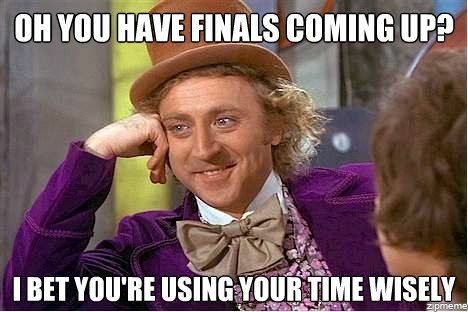 You aren’t prepared mentally or physically because you planned on taking a nap after class ended early. 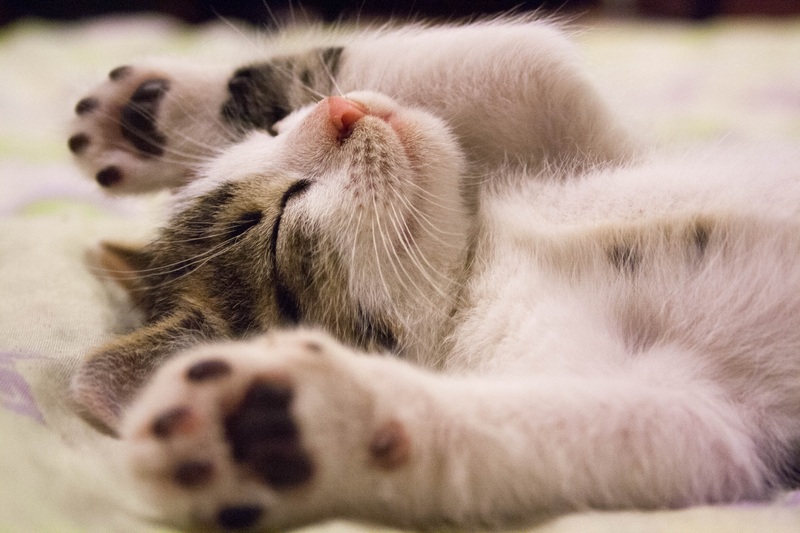 It may be the beginning of the semester, but you need all the sleep you can get. Like most college students – caffeine runs through my veins, all day every day. While making your schedule you think “Okay, a 10:30AM isn’t that bad. That way I get out in the afternoon and have the rest of the day to myself.” This again, looks good on paper, until you wake up at 10:15AM and don’t have enough time to get your daily latte without being late to class. 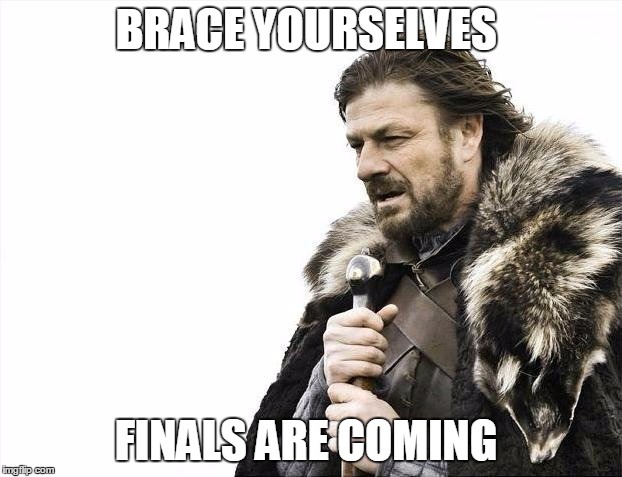 It’s important to have enough time to get coffee, especially during midterms and finals season. However, with coffee shops like Starbucks and Dunkin’ Donuts offering free apps, you can easily order and pay on-the-go and partially eliminate this uneasy thought. Let’s just be honest, introductions are both awkward and dreadful. The professor starts off with giving their introduction and then has everyone go around the room to tell the entire class what their name is, their major and a “fun fact” about themselves. Personally, there are few things that I hate more than this because I never ever know what to say. No matter how much I think about it on my way to school, I can never come up with anything worth saying. And it’s not because I’m bland, it’s just because I don’t want to share anything personal with strangers. 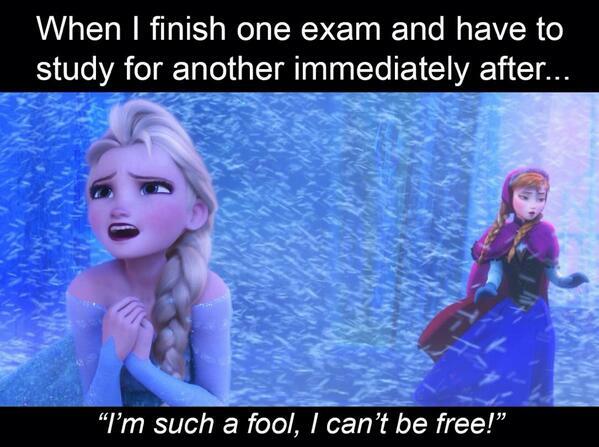 This makes even the most carefree students anxious. Since ice-breakers are pretty common, ease this anxiety by picking one good fact and using it in all your classes! But most important – don’t overthink it. Use up that brain space for something that actually matters, like how you’ll fit a 15-minute nap in that 30 minutes before the next class. You may think you’re the only person who still gets nervous at the beginning of the semester, but we are all in the same boat. 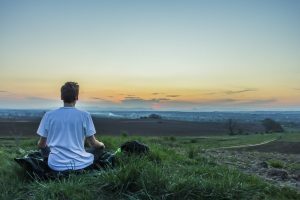 If you have any of these thoughts, you are not alone. 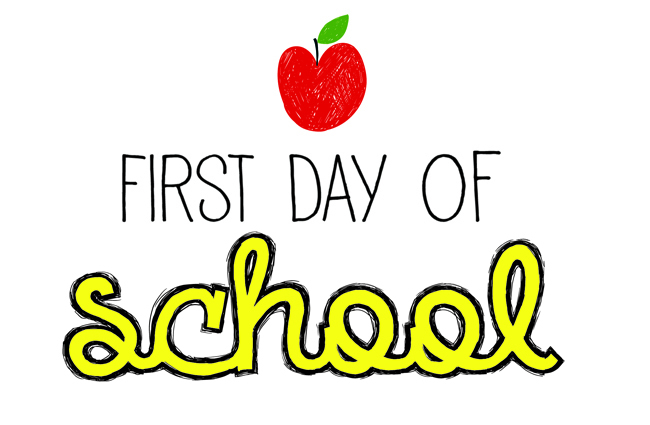 Share some of your first day thoughts with me in the comments section below!